Now this is the dip that Autumn has been dreaming about….if of course Autumn was a human and could in fact, eat! Best enjoyed with some crudités or rye crackers, it is the perfect mid-afternoon snack to keep you going until dinner time. One serving provides a nice dose of plant-based protein (6g to be exact), 4g of fibre and almost a quarter of my daily Vitamin C requirements. It is deliciously creamy and flavourful, and very versatile depending on which herbs and spices tickle your fancy. Anytime I roast anything, I will always make extra so that I have some in the fridge to throw into a salad, a frittata, make a soup or to quickly blitz into a humous. But this recipe only needs 360g raw Squash. · Peel and slice the squash, making sure to remove all of the seeds. · Place on a roasting tray with a drizzle of oil and season well with some salt, pepper and smoked paprika. 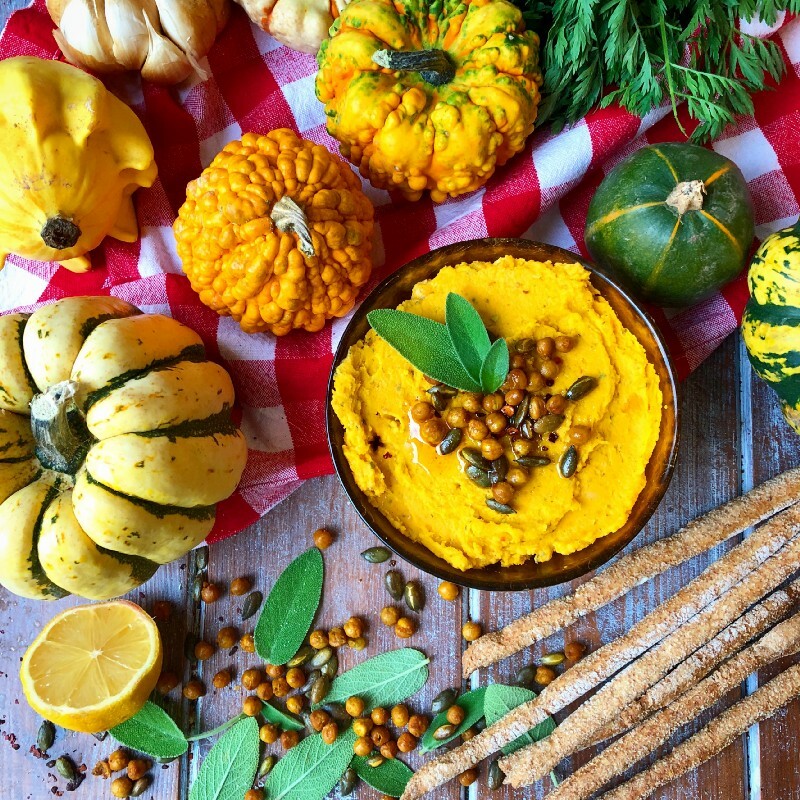 · Once the squash is cooked, either set aside to cool; or if you want a hot dip, put all of the remaining ingredients into a high speed blender and blitz until desired consistency. · Sprinkle with crunchy chickpeas & pumpkin seeds and serve immediately.